Your health and safety are always our top priorities. That is why our practice maintains the highest standards of cleanliness and sterilisation. We now have a dedicated sterilisation room for decontamination to the highest possible standards. For the safety of our patients and staff we observe the strictest guidelines possible. We have a dedicated sterilisation room for carrying out decontamination away from the surgeries. 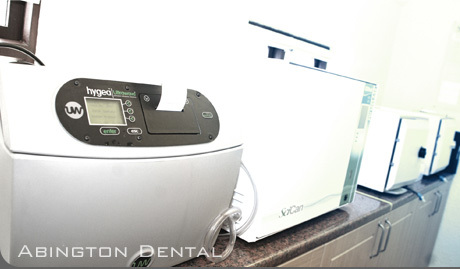 We use the Hygea Ultrasonic Bath which is an advanced state of the art ultrasonic cleaning system. It comes with an integral cycle validation and an electromagnetic locking lid. It is used in conjunction with a Washer – Disinfector and Autoclaves for complete sterilisation of instruments to meet the highest standards set by the Government.